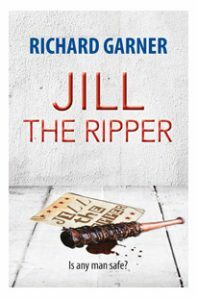 Jill the Ripper - Publisher, book packager and consultancy firm. A small revolutionary feminist group publishes a leaflet urging revenge attacks against men for what its author perceives to be the glorification of Jack the Ripper. Soon afterwards, the bodies of two men are found mutilated on derelict waste ground. The police begin to investigate whether there is a connection between the members of the group and the murders, but find few leads. Private investigator Philip Rivers is called in to help by the parents of their son, who they believe could be the killer’s next victim, as he shares a flat with a member of the group. Rivers decides the best way to protect him is to find the killer. RICHARD GARNER has written a gripping and powerful crime thriller, featuring Philip Rivers, who was the hero of his first novel, Best Served Cold. He has been a journalist for forty years writing for the Daily Mirror, the Independent and the TES – about education. His decision to break out from this mould to write crime thrillers has been a resounding success.